Dr. Bill Metzger is a native of Northern Kentucky. 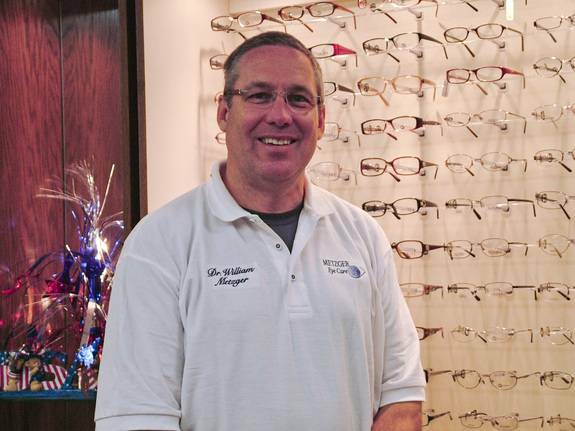 He is a graduate of the Illinois College of Optometry. He received his training at the VA Hospital in Huntington, West Virginia as well as the Easter Seals Health Clinic in Chicago, Illinois. Dr. Bill regularly conducts vision screenings for local schools as well as visits over 40 nursing homes to provide eyecare to patients who find it more difficult to travel. Dr. Bill is experienced with difficult contact lens fittings and enjoys working with elderly patients. Dr. Bill and his wife Pat reside in Northern Kentucky and have four children. He is also very active in church & participates with Fr. Berting's Appalachian Mission.